Cape Horn is a dusty teal holographic. I used 2 coats with no top coat. Marmolada has a dusty blue/gray jelly base with silver and blue circle glitter, small lavendar hexes and silver micro glitter. All nails are 5 coats with a top coat of Seche Vite. 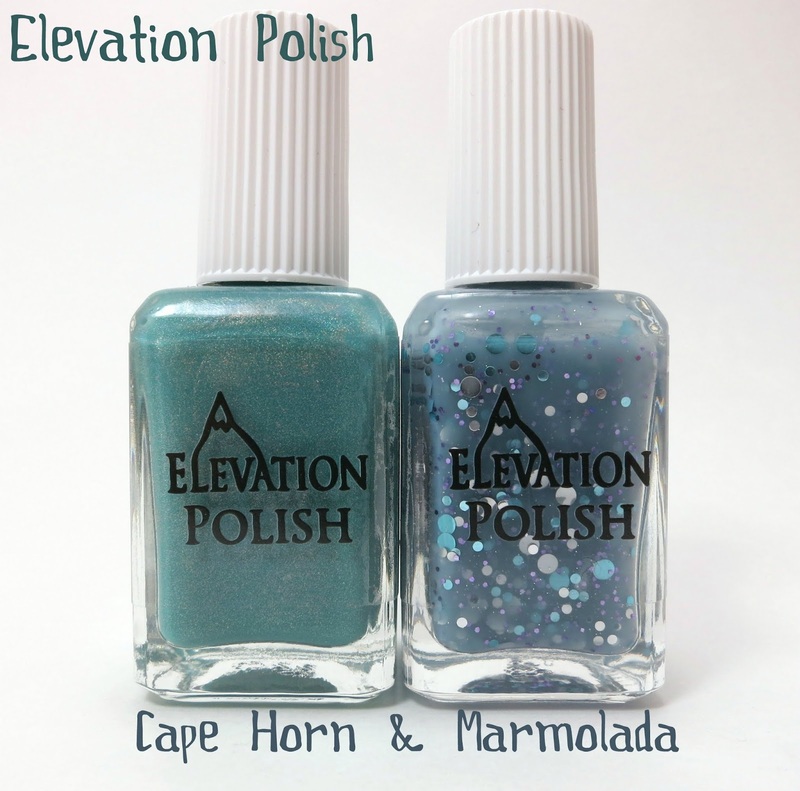 Purchase Elevation Polish on Lulu's BigCartel storefront. Be sure to check out Lulu's blog and Flickr, to stay up to date about new colors coming out.